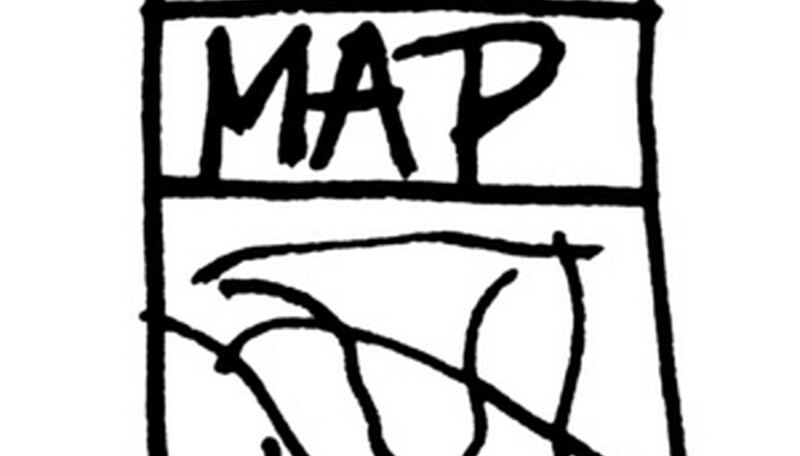 You can draw a street map as a rough sketch, such as the type you draw when giving someone geographical directions, or with significantly more detail. A detailed street map should take into consideration the distance between landmarks, the width of streets, and the important spots in the area being mapped, such as traffic lights, train stations, bus stops and parks. You may draw houses and buildings in detail as well, or simply represent them by a set of symbols that you explain in a map key. Decide on the specific area you will map, and make notes on its details, such as street lengths, the number of houses on each street, the distance covered by the map, and key landmarks. If drawing most of the map in detail but using symbols for the houses and other structures, develop a key that lists the symbols and what each represents. Calculate the scale for the map based on the size of the paper available and the size of the area you are mapping. For example, if the area is 100 square miles but the paper is only 100 square inches (10 inches by 10 inches), then the map will have a scale of 1 to 10, with 1 inch equalling 10 miles. Write down the map scale, then add it to the key later. Sketch the streets using the calculated distance scale -- e.g., 1 inch = 10 miles -- the information gathered from notes about the area, and a ruler to make the streets straight and even. Sketch lightly so you can easily erase mistakes and make adjustments as needed. Draw the houses, buildings, and any other necessary structures or landmarks in the appropriate places, using the symbols selected for the map key. If you wish, use colored pencils or pens to differentiate the symbols or to add more detail to the map. Include bus stops, train stations and railroad tracks. Fill in other detail such as parks, playgrounds, government buildings and schools, and anything else that helps make your street map complete. If you want even more detail, include traffic signals, street signs, crosswalks, fire hydrants and even parking meters. Label the streets using a pen that is easy to read. Print clearly and neatly, and try to keep the street labels in roughly the same place -- e.g., centered -- for each street to make reading the map easier. Choose a location for the map key that does not obscure important information on the map, such as in the middle of a park. If the map is too full to allow room for a map key, attach the key to the side or back of the map, or paste the map to a larger piece of card stock and paste the key onto the card stock but off the map.